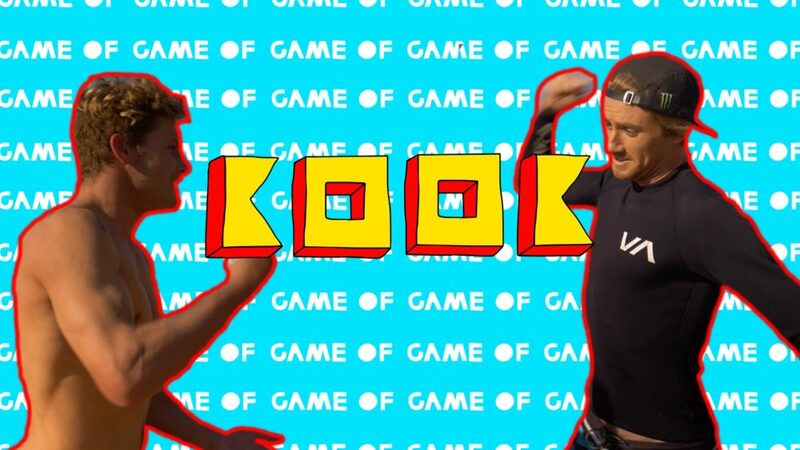 We’re all familiar with the Game of SKATE, but a Game of KOOK? What’s that you ask? A high vibes fun filled session of fresh challenges. But nobody wants to be a KOOK right? – Two surfers take each other on. – A game of rock, paper, scissors determines who sets the first challenge. – The next person sets the next trick. – If you fail to do the challenge you get a letter. – If you both fail then you both get a letter. – If you both achieve the challenge then whoever does the weakest / lamest attempt gets the letter. – Only 2 attempts per challenge. – If it’s a tie break on the final ‘K’, the first person to complete the trick is the winner.